If you are concerned about keeping your child safe from sexual abuse, consider creating a family safer plan designed to create a safer environment and a support network for everyone in your family. Children and young people are safer when parents and caregivers take the time to learn about sexual abuse and warning signs. When creating a family safety plan it is important to know what is mean by a risk factor and what risk factors might look like. A risk factor - is something that puts someone at risk of sexually abusing a child. It could be a physical factor e.g. being in close proximity to a child; a situational risk factor e.g. lack of parental oversight. 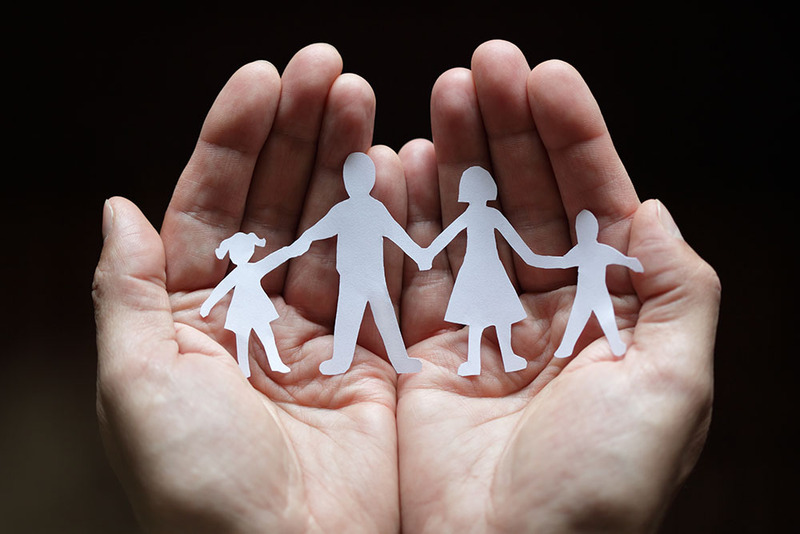 However alongside being aware of risk factors other protective factors - the things a family can do to keep the family safer are important to be aware of and consider. Protective factors can include good communication within the family; supportive relationships; appropriate rules and boundaries. Such protective factors are the building blocks of your family and provide a good foundation for developing an effective family safety plan. You can download a booklet to help you with creating a family safety plan here. "Warning sign" is really just another way of saying "opportunity for prevention" - a chance for protective adults to recognise possible risk and to take action to safeguard children. Read more about warning signs. Remember the old adage- prevention is better than cure; the most effective prevention takes place before there's a child victim to heal or an offender to punish. The NSPCC has developed a guide for parents and carers to use with young children to help keep them safe. The Underwear Rule teaches children that their body belongs to them; they have a right to say no, and that they should tell an adult if they're upset or worried. Download - the guide for adults. Download - the guide for adults to use with children. Using books can help you start these important conversations with your children. However, before you read them with your child read them through yourself first, so that you can judge if the information is appropriate for your child and to ensure you are familiar with the story. Finally, see these stories as a springboard to further conversation, discussion and continued teaching and learning. Find the list here. Teach children the proper names for body parts and what to do if someone tries to touch them in a sexual way. Remember to let young children know that no one has the right to touch their private parts (unless for medical reasons) and that they should not touch anyone else's private parts. Talk about and set clear family boundaries with family members and with other adults who spend time around or supervise the children (e.g., if a child does not want to hug or kiss someone when saying hello or goodbye then he or she can shake hands instead). If a child is not comfortable with a particular adult or older child then you or some other adult must let that person know (e.g., tell him or her that you don't want your child to sit on his/her lap). As a child matures, boundaries within the home may need to change as well (e.g., knock on the door before entering the room of an adolescent). Be sure that no one in your family is isolated. Identify one or more support people for every member of the family. Research shows that one of the key factors in a child's resilience (ability to bounce back after stressful events) is that he/she had someone to talk with and confide in. Be a safe, responsible and consistent resource person for a child or adolescent. If someone is "too good to be true" then ask more questions - this friend or family member may not be a safe person for your child. Unfortunately, unconditional trust cannot protect children from harm. Don't ignore any unease you feel about people showing interest in your child. Obtain information about the safeguarding policy and procedures of any clubs or organisations your child may join. Ask for proof that adults working in a voluntary capacity with children have been CRB (Criminal Record Check) checked. We have listed various resources to call/contact for advice, information and help on the Useful Links page. Learn about the agencies in your area. Know who to call for help and advice and how to report concerns if you learn that a child has been sexually abused. Call the Stop it Now! Helpline on 0808 1000 900 to learn more about the resources in your community.